Jeff is a graduate of Yale University and the Harvard Business School. Jeff has been investing as a venture capitalist since 1972, when he joined the first Schroder venture capital operation. 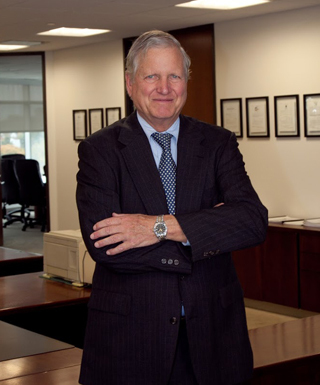 He has invested in the healthcare area since 1981, when he became President of the Schroder Ventures US operation. In 1990 he founded Collinson Howe Venture Partners with Tim Howe as an independent entity that continued to manage the Schroders Ventures funds through to their conclusion in 2001. In 1997 he co-founded CHL Medical Partners. Jeff has been actively involved in founding numerous healthcare companies including Celgene Corporation (NASDAQ: CELG), Incyte Pharmaceuticals, Inc. (NASDAQ: INCY), SemperCare, Inc. (sold to Select Medical), and Ascend Health Corporation (sold to Universal Health Services), Intensiva, Inc. (IPO then acquired by Select Medical), and American Renal Associates (sold to financial buyer). Prior to joining Schroders, Jeff worked for Baxter International, Inc., in the areas of finance and corporate development. Jeff has served on the boards of over thirty portfolio companies, many of which are now public. Jeff can be reached at jcollinson@chlmedical.com.